So it's pretty hard not to hear about elf products, I have seen amazing reviews about this brand so I thought I would treat myself and buy a few things ;) If you follow me on Twitter, you'll know I have been moaning about not finding a high street Christmassy lipstick, I want a lovely rich purple/cherry tone to wear with smokey eyes. 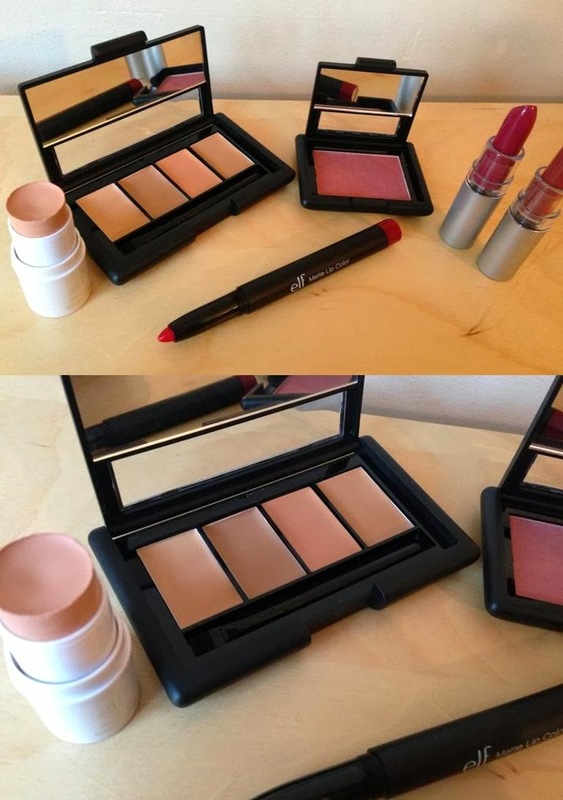 When I went onto elf online, I saw Essentials Lipstick in Gypsy and was really impressed! The best part is, it was only £1.50 - not bad right?! 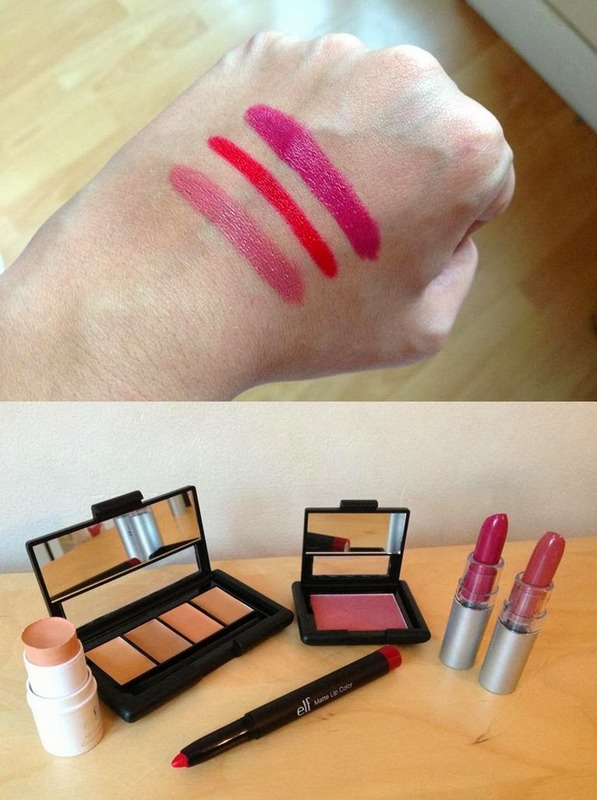 I also saw the shade Charming, I can't seem to buy lipsticks without finding a brown, beige as well. They are incredibly pigmented and they have a lovely creamy finish to them - I think they are even more creamy than the Rimmel moisture renew range. I also saw the Rich Red Matte Lip Color pencil - the shade looks lovely and I think I only have 2 or 3 red lip products in my room! (Shock face). I think this is really good for exact definition, it can be quite tricky using bold lipsticks so I really recommend this if you have trouble putting intense lip shades on! Their matte lip pencils are my favourite thing from Elf EVER!